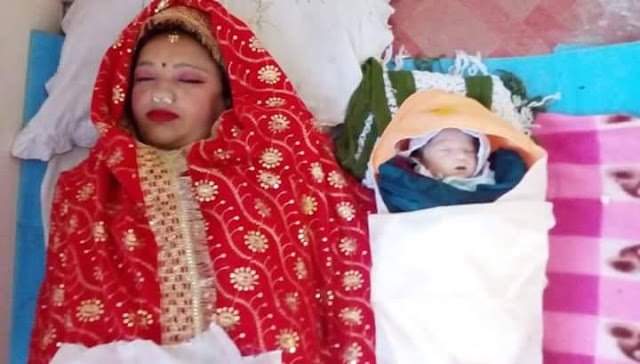 A funeral procession of 30 year old Mona Sarki and her new born baby turned into a massive protest against alleged doctor's negligence, outside the Darjeeling District Hospital. Family and friends of Late. Mona Sarki stated that she was well and in good health on the 27th of November. Mona was soon going to be a mother - 2nd of December was anticipated as her date of delivery. Though Mona was admitted under Dr. Tshering Doma Sherpa, she was being looked after and attended by Dr. Samir Sharma in the former's absence. Around 9:30 AM her blood pressure started to fluctuate when Dr. Sharma gave her some medicines to bring it under control. After 9 PM Mona's health, however, deteriorated and she was moved to CCU, and the family members were not allowed to enter. Around 12:30 in the morning on the 28th Dr. Sharma informed the family that Mona was no more. The aggrieved family have alleged that Mona died due to Dr. Sharma's negligence, and have questioned, "how can someone who was well in the morning, die at night while she was still in the hospital? shouldn't the doctor have known her health was deteriorating?" Late. Mona's family have alleged that, "since our daughter was not a private patient of Dr. Sharma, he neglected her... not only that even the nurses at district hospital misbehaved with us, and were very rude throughout the ordeal... they have forgotten their duty, they have forgotten their humanity." Dr. Sharma in turn has clarified that, "Mona was admitted around 5AM on 27th November, she was a nurse at the Planters Hospital and she is also my neighbour.... when she was admitted her blood pressure had shot up, and after a while it had normalized... Mona was coughing and her husband informed me that she was coughing for the past 20 days... since her doctor was out for a medical camp, I decided to attend to her... as a doctors we never discriminate against our patients... whatever the family has alleged is wrong... sometimes pregnant woman suffer from stroke following pregnancy due to increased blood pressure... which can cause death... this is what I believe happened." Dr. Sharma however admitted that "we don't have proper facilities in the Darjeeling District Hospital, which is why we tend to refer patients to Siliguri... since her blood pressure was high, we were trying to stabilize it and were contemplating cesarean... sadly we couldn't save her." Meanwhile, the family alleged that "Mona was a nurse herself and she knew the seriousness of the issue thus had begged Dr Samir to do the Cesarean but he refused saying he didn't have her medical history... moreover he refused to do Cesarean as she was a private patient of Dr. Choudhury and this was a government hospital." Responding to our query, another doctor at the District Hospital, Dr. Dawa said, "we would request the people not to jump to conclusion, no doctor would allow patients to die... we are suspecting that Mona died of Pulmonary embolism which is a very serious condition... we request people for their patience"
Darjeeling hospital authorities have constituted a fact finding committee to look into the issue. 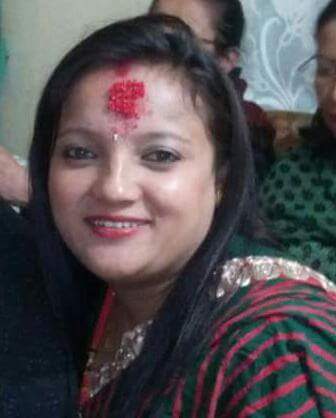 Whatever be the reason of her death, the fact is that the Department of Health under the Gorkhaland Territorial Administration has suffered, and the blame for this tragic death should also fall on them.